It doesn’t matter whether you’re a skincare novice or the Queen of the French pharmacy aisles, we could all do with a little brushing up on some skincare myths from time to time. Because, boy, there can be a lot of them. Misconceptions about what you should and shouldn’t use could be preventing you from trying out products that might actually be your perfect match. From your mum telling you to avoid putting oil on your oily skin, to your best friend lamenting that she can’t wear eye makeup because her eyes are too sensitive, there’s an awful lot of confusion out there! The Bioderma Sensibio Mild Cleansing Foaming Gel is the sort of product that you might just overlook in the pharmacy’s aisles. That’s because, if you’re anything like me, you probably think that foaming formulas are best left to those with oily skin… or at the very least skin that rarely experiences dryness. Don’t make the mistake of missing out on a real gem, though. This unassuming bottle of cleansing goodness does the unthinkable – it allows non-oily types to indulge in a refreshing foaming wash without a trace of tightness. By normal face wash standards, the Bioderma Sensibio Mild Cleansing Foaming Gel is exceptionally pared back – there’s not a trace of soap to be found in the formula, and it’s free from fragrance, colourants and parabens. Instead of those potential irritants, the formula is loaded up with Bioderma’s DAF complex, which works hard to keep skin balanced and hydrated, plus coco glucoside which has lipid-restoring properties. 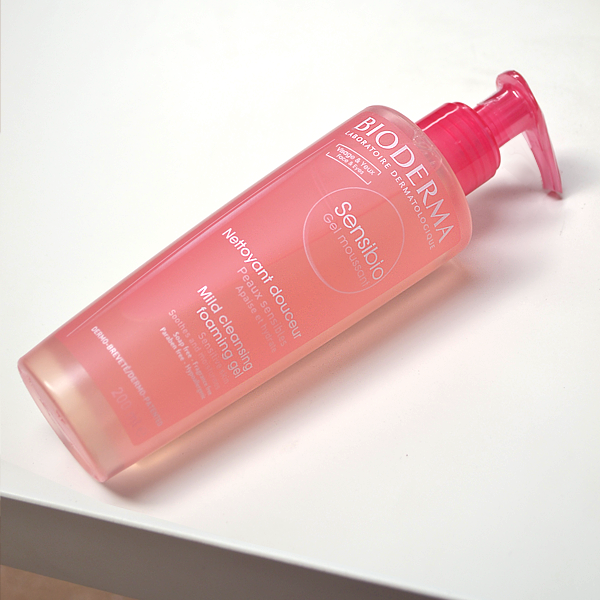 A lot of cleansers claim to cleanse without tightness, but Bioderma truly delivers a little touch of magic here – my skin actually feels better after I use this. Tip: If you struggle with sensitive skin all over your body, this wash doubles up as a wonderfully effective shower gel. Exfoliators are the instant gratifiers of the skincare world. That golden period after you remove your chosen formula is just heavenly – who knew your texture could be so smooth, or your complexion so luminous? You can most definitely overdo it, though, especially if your skin is prone to sensitivity or irritation. Being too vigorous with your exfoliating sessions can do more harm than good, and that’s why you should dip your toe into the world of Decleor Phytopeel. Phytopeel is a clay-based peeling cream; that is, it dries onto the skin and you use little rolling motions with your hands to gently remove it, along with the impurities it absorbs along the way. The benefit of this method is that you can dictate the intensity of the exfoliation process. In fact, you can simply wash it away if you just want to benefit from the brightening and stimulating effects of the essential oils rather than experience a full peel. After use, expect your skin to appear fresher, smoother and more even. You’ve probably heard it before, but it bears repeating – oily skin types can definitely use an oil! In fact, facial oils can be incredibly beneficial in boosting, regulating and rejuvenating congested complexions. It just depends on the sort of oil that you use. For example, lavender oil reduces inflammation and aids healing, grapefruit oil deeply cleanses the skin, and chamomile oil soothes the skin with a lightweight touch. 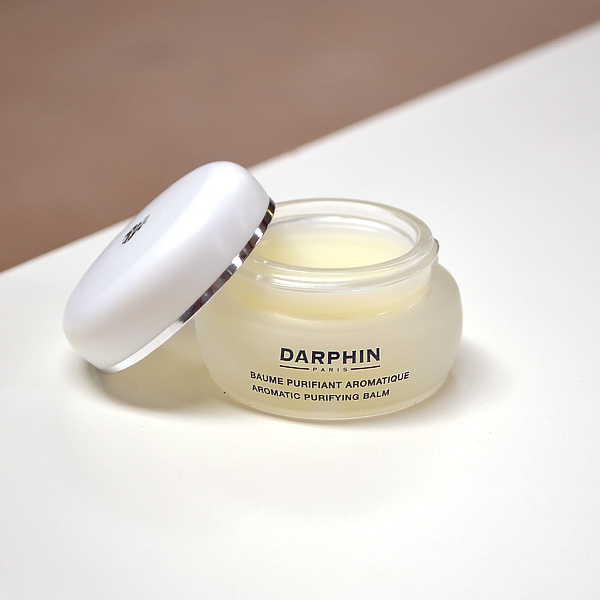 Each of these oils is present in the brilliant Darphin Aromatic Purifying Balm, a 100% natural, solid balm treatment that transforms into an oil when worked between palms and massaged into the skin. The Aromatic Purifying Balm is the sort of product that takes a bit of getting used to if you have oily skin, as it’s probably the exact sort of texture you normally avoid. When used as an evening treatment once or twice a week, you’ll see just how much of a difference nourishing your skin with oils can make. 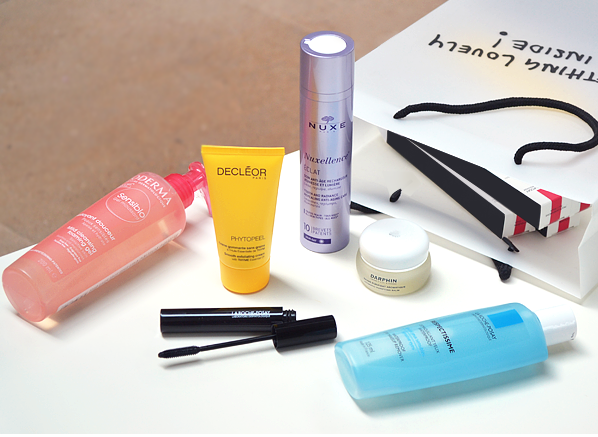 Your complexion will be clarified, refreshed and perfectly in sync. If you suffer from eye reactivity, you’re not alone. We regularly hear from women whose sensitivity to eye makeup ranges from mild wateriness through to allergic reactions, as the ingredients in certain mascaras can really irritate the delicate eye area. 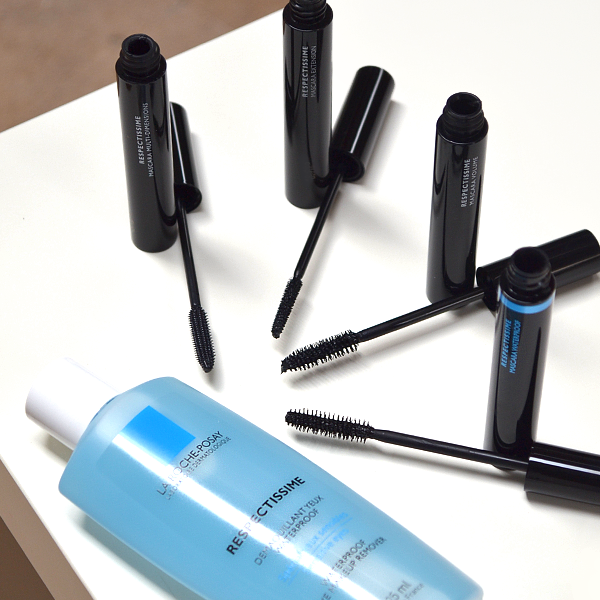 To save you from going completely makeup-free, sensitive skin expert La Roche-Posay has launched not one, but four different mascaras that promise to deliver lusciously sculpted lashes without compromising on tolerance. The subject of years of research, each Respectissime formula is fragrance-free, nickel-controlled and ophthalmologist tested. For a thicker fringe of lashes, try the Respectissime Extreme Volume Intense Mascara; for lashes that hold their own despite the elements, try the Respectissime Waterproof Extreme Hold Mascara on for size; the Respectissime Multi-Dimension Mascara has a serum-mascara formula that nourishes lashes as it beautifies them; and finally, the Respectissime Extension Length & Curl Mascara delivers a fluttery and romantic lash look. And for help taking off your new mascara? You need the brilliant Respectissime Waterproof Eye Makeup Remover, which’ll remove everything without tugging or irritating your eyes. In the past, the age-defying skincare category has mostly been dedicated to supporting mature skin as it ages. While there’s still a great deal of skincare that does this and does this very well, there’s an exciting new breed of youth-boosting care that looks beyond the biological process of ageing, and focuses more upon the environmental and behavioural processes that can have a big impact on the youthful look of the skin. These skincare products aim to compensate for bad habits that could be artificially accelerating the age of our skin – and the best thing is, you don’t have to wait until you reach a certain age bracket to reap their benefits. 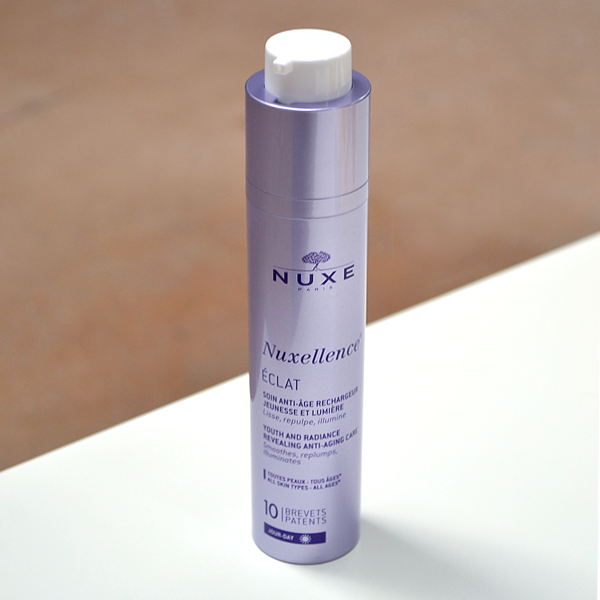 Nuxe Nuxellence Eclat is my favourite all-rounder in the category, because it really can be used by anyone. Nuxellence has a singular aim: to recharge dull, tired and overworked skin with renewed energy. It doesn’t do this with quick fixes or temporary boosts; instead, it works to repair mitochondrial DNA and breathe new life into skin cells, which in turn makes your complexion more receptive to the skincare that you apply. With an incredible 10 patents and a plethora of active plant concentrates, it does a fantastic job of effortlessly making skin look and feel healthier. Slip it into your routine after cleansing and before moisturising. This entry was posted on Friday, April 7th, 2017 at 11:32 am and is filed under French Pharmacy, Skincare, Tried & Tested. You can follow any responses to this entry through the RSS 2.0 feed. You can skip to the end and leave a response. Pinging is currently not allowed. These products look great! I agree, with so many ‘dos and donts’ and myths… how do you keep up with them all and know which ones are good or ‘bad’?